31-W Insulation is proud to offer garage door installation services to homeowners in and around Bowling Green, Kentucky. Founded in 1972, our family-owned company is dedicated to providing reliable home improvement products and services to residents throughout the Southeast. If your garage door has caved in or isn’t operating anymore, it’s time to contact the professionals at 31-W Insulation to have it replaced with a brand-new one. 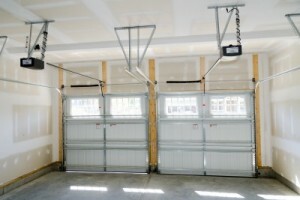 When you choose 31-W Insulation for your garage door installation needs, you’ll know you’re in good hands. All of our technicians are trained and experienced employees who will ensure your new garage door is installed properly and securely. 31-W Insulation is committed to total customer satisfaction, which is why we’ve earned an A+ rating with the Better Business Bureau. If you’re ready to get started with a garage door installation project at your Bowling Green, KY, home, contact 31-W Insulation today.